To register for the Coach Development Course taught by RFU Russell Earnshaw, please complete our online registration form. Residential price includes full room and board, jersey, materials, instruction and ‘live’ coaching practicals; Commuter price includes all the same, plus lunch & dinner without housing. To pay for your registration, you will be prompted to pay by credit card or check at the end of the online registration form. If you would prefer to pay by check, or need a payment plan, please click the “Pay by Check” box instead of submitting your credit card information. We will contact you to make arrangements. 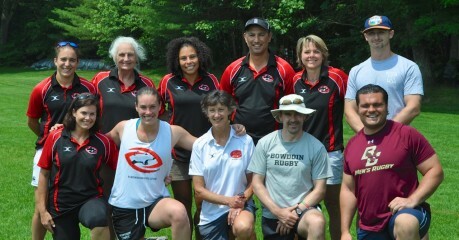 Polar Bear Rugby Camp offers a Coach Development Course that gives experienced and new coaches an unparalleled educational opportunity to learn the practical, philosophical, technical, and tactical elements of effective coaching. The small group size and personalized learning curriculum are designed to meet your individual needs. 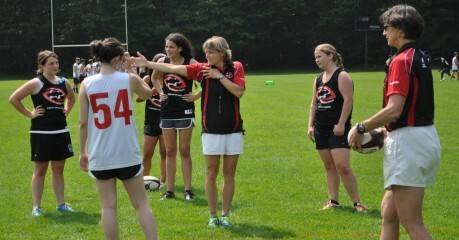 The schedule includes classroom and on-the-field learning, using the Polar Bear Rugby Camp as an ‘experiential classroom’. We are fortunate to have Russell Earnshaw lead the Coach Education Course again this year. Russell is a former player and current Coach of England U18s. Creator of RFUs Magic Academy and the C.A.R.D.S. coaching philosophy, he is a Level 4 RFU coach, Coach Developer, Coach Educator and Level 4 mentor in high demand across the rugby world. We are very excited to have him with us this July! This course is USAR approved and will earn you the maximum 10 CDP (Coach Development Points) required to maintain USAR coaching certification. If you’re looking to improve your coaching expertise with a top rugby coach educator, mark your calendar and register soon! Space is limited. Please email polarbearrugbycamp@gmail.com with questions or for more information. In addition to preparatory work online, you’ll receive 3 days of quality instruction, discussion and observation in the classroom and on the pitch, along with on-field practicals and follow up coaching during the year. Each coach stays in a private room with towels and linens, receives all meals, access to Bowdoin’s facilities and a camp jersey. Arrive Thursday afternoon in time for dinner; camp ends Sunday early afternoon. This is a great way to improve or re-energize you or your assistant’s coaching career.